It is that time again. A time where all fans old and young come together to celebrate all things Star Wars. 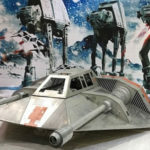 I am talking about Star Wars Celebration and this year I am bringing the action, every morsel, to GiN readers. 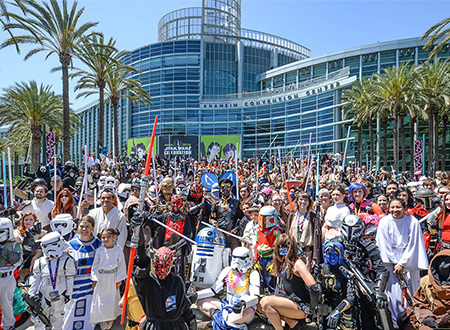 Taking place April 13-16th at the Orange County Convention Center in Orlando, Star Wars Celebration already has a jam packed agenda and celebrities galore. Let’s not forget the event always brings some of the best cosplayers from around the galaxy. From Coruscant to the Outer Rim fans come dressed as their favorite Jedi, Rebels, Imperials, stormtroopers and Vaders, aliens, and some of the lesser-known characters. Even with all the costumes walking around a Cosplay contest on Saturday gives fans a chance to display their hard work and love for this incredible fandom. In turn we get the pleasure to see our favorite characters come alive in this one time only pageantry. 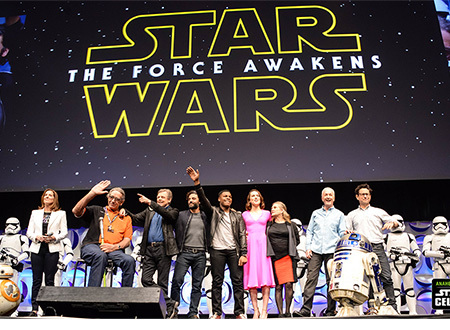 The Force Awakens Panel from Star Wars Celebration Anaheim 2015. Photo via starwarscelebration.com. Cosplay is one of the multitudes of goodies in store for guests. However, Celebration is not complete without panels and the most anticipated events are the panels. What a line-up of panels this year. On April 13th, opening day is the 40th year anniversary panel. That’s right, Star Wars turns forty this year. Star Wars: Episode IV – A New Hope was released May 1977. It’s been a thrilling forty years. 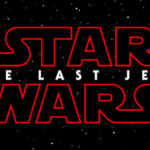 From the first time theatregoers saw the first opening crawl to two more sequels, then the prequels, to rekindling our love for the original characters and new heroes in Force Awakens and beyond. Now we have stories to explain the in between of these movies and television shows that brought us new characters and stories. 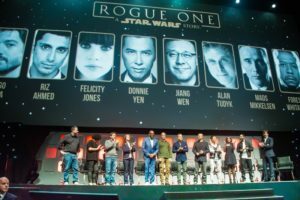 Rogue One told the story of how the Death Star Plans were stolen, and it wasn’t Bothans, but a team of Rebel fighters saving the galaxy from the Tyranny of the Evil Empire. We also got to watch Darth Vader slaughter a whole ship of Rebels, in other words Vader being Vader. Coming next year is the Han Solo movie featuring a young Han Solo and Lando Calrissian, also starring Woody Harrelson as Han’s mentor. No word yet about any thing on this movie during Celebration. 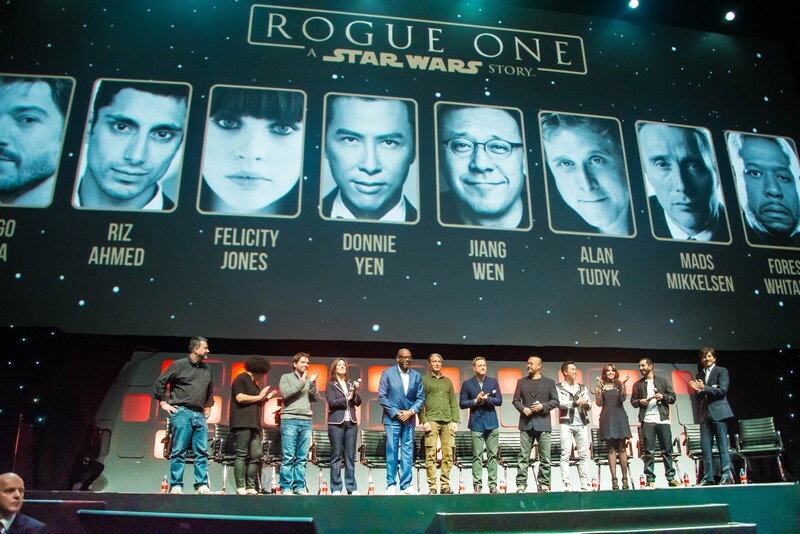 Rogue One Panel from Star Wars Europe 2016. 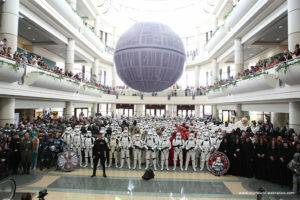 Photo via starwarscelebration.com. Going beyond the movies we have tens of thousands of years of history written in books, comics, and video games. From the history of the Jedi and Sith, to the Mandalorian Wars and the rise and redemption of Revan, to Darth Bane, and then the fall of the Republic and Rise of the Empire, and beyond. Forty years of great memories and not so great memories. Remember when George Lucas sold Star Wars to Disney and all the old history and stories became Legends. This was to make room for a new canon. Another was when LucasArts closed to never make games again, games like the Jedi Knight series, or Knights of the Old Republic, or even the in the works 1313. In the end it all worked out. The new stories are really good and there are so many more years and decades of stories left to tell. I’m still wishing for an Old Republic movie but at least Star Wars Rebels are bringing back legend characters, Thrawn to name one. Season two saw the return of Malachor, made famous during the Mandalorian Wars and the site of the final battle in Knights of the Old Republic II. However, we cannot forget the Star Wars greats that we have lost including our beloved Princess Leia, Carrie Fisher. One thing I am hoping they do at Celebration, and especially during the 40th year panel, is a memorial. A memorial not only to Carrie Fisher but all those involved in Star Wars from the beginning. We also hope the special guests include many of the cast and crew, writers, special effects artists, directors, and all who brought this incredible saga to life and kept it going for 40 years. 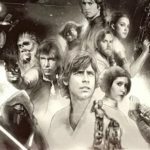 Back to the panels and on Friday April 14th is the Star Wars: The Last Jedi panel. Kathleen Kennedy, Lucasfilm President, and The Last Jedi director Rian Johnson will host this one. According to the announcement there will be special guests and surprises. Can one of those surprises be the long awaited trailer? We will soon find out. It’s not just the movies being showcased but also television and of course games. EA will be showcasing their latest games in development. They are currently working on Battlefront 2 but there is also the unnamed game from Visceral. This year more is coming from BioWare’s Star Wars: The Old Republic. Coming in April is the “War for Iokath” and the return of Malavai Quinn and Elara Dorne. 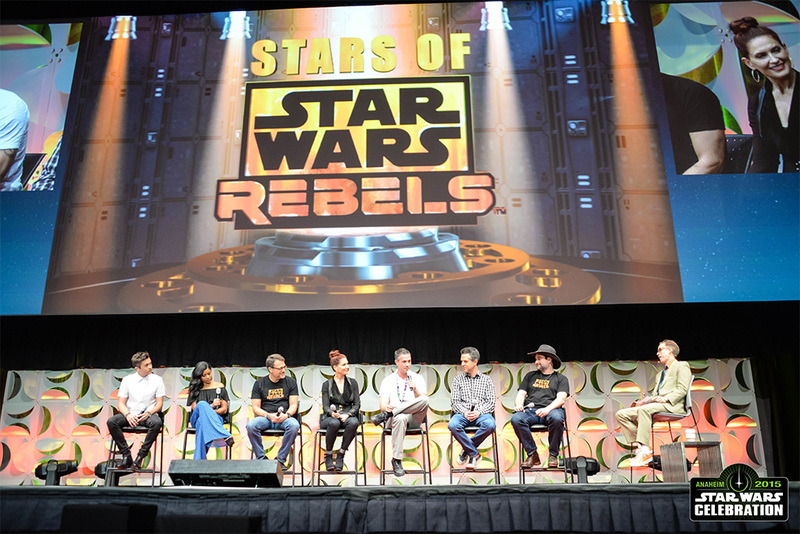 Star Wars Rebels Panel from Celebration Anaheim 2015. Photo via starwarscelebration.com. Another exciting event and fan favorite is the Star Wars Rebels panel and fan Q&A with executive producer and supervising director Dave Filoni. He will be there to discuss Season 4 on April 15th. This one is a panel not to be missed for those who enjoyed both the Clone Wars and Star Wars Rebels. Last year’s Celebration had the announcement of Thrawn returning in Season 3, and we were not disappointed by our Grand Admiral’s performance. Stay tuned to find out news and reveals for Season 4. 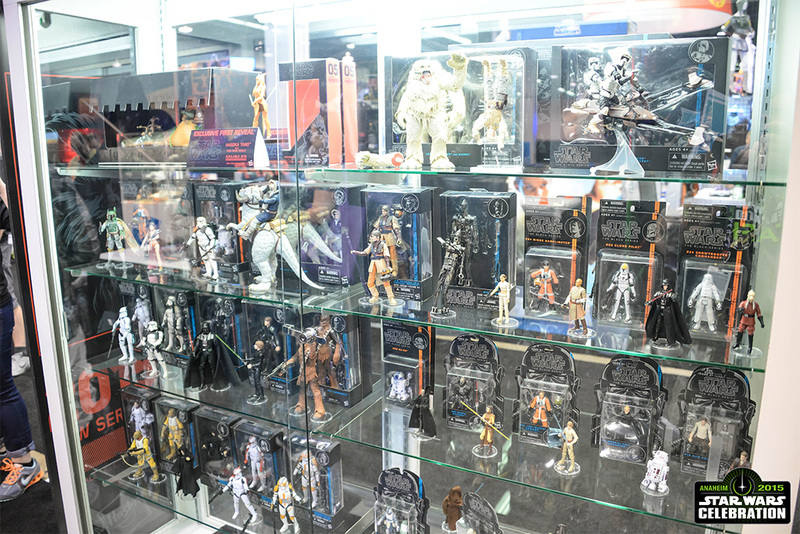 Star Wars collectables. Photo via starwarscelebration.com. Something I am very much looking forward to learning more about is the newest in collectables, books, and comics. There will also be the best Star Wars artists in the exhibition hall showing off their latest works. We also have the biggest toyshops like Hasbro and Lego. 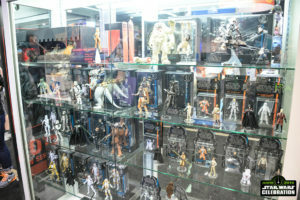 Maybe they will show off new black series figures and there is mention of vintage packaging and action figures for the 40 years of Star Wars: A New Hope. 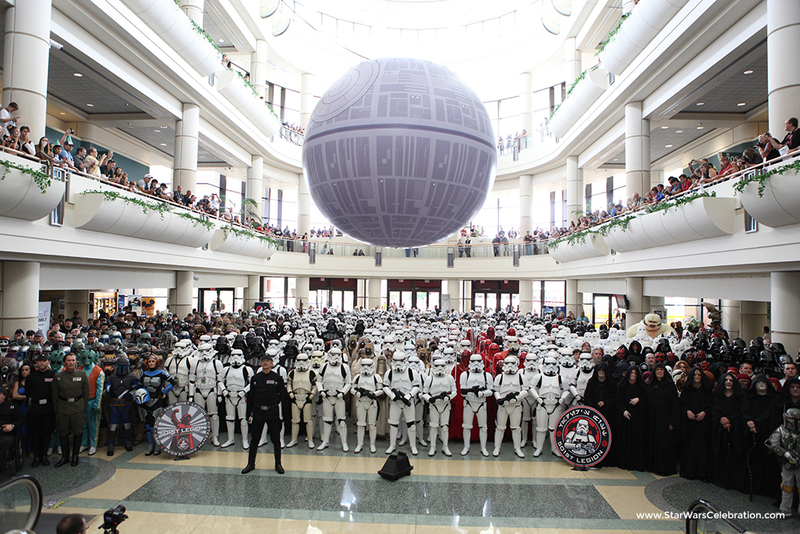 A Celebration is not complete without the 501st Legion. Photo via starwarscelebration.com. So many things going on we can’t forget about guests and there is an ever-growing list of Star Wars celebrities. To name a few we have Felicity Jones, Billy Dee Williams, Peter Mayhew, Ian McDiarmid, Jeremy Bulloch, Pablo Hidalgo, Warwick Davis, and Ray Park. For a complete list of guests and all the news and events for Celebration see the official site. There is so much is happening in only four days. 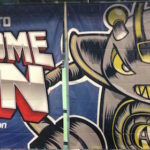 From the biggest news in film, television, and games to the comics, books, art, and toys that will be exhibited Celebration will have it all. It is my mission to bring you the latest happenings from the galaxy far, far, away. Beginning April 13th GiN will be featuring all the latest on Star Wars direct from Star Wars Celebration 2017 in Orlando, Florida so stay tuned. Just so you know, LucasArts was not responsible for Knights of the Old Republic. Bioware was. Obsidian was responsible for Knights of the Old Republic 2. Theoretically the shutdown of LucasArts wouldn’t have hurt those two too much had the acquisition happened earlier as long as Disney had retained interest in the projects and hadn’t stopped funding them. Thanks for the comment. To clarify LucasArts did publish both games even though as you stated they were developed by BioWare and Obsidian. Though LucasArts did release Obsidian’s Kotor II unfinished, it still continued the story where the last game left off. Its hard to know what would of happened if Disney acquired these games before, we do still have The Old Republic that was a collaboration between LucasArts, BioWare, and EA. The only problem was the past games are now all Legends. Any new games coming and new content seems limited in scope and era within the Star Wars universe, though it is possible they will expand in the future. Under LucasArts we did get some great stories spanning the entire Star Wars history and many new and interesting characters. And LucasArts did either publish or developed games that were not that good. Looking to the future, we will see what Lucasfilm, BioWare, and EA have in store for gamers at Celebration and beyond. Hopefully those three will continue great Star Wars gaming and storytelling.